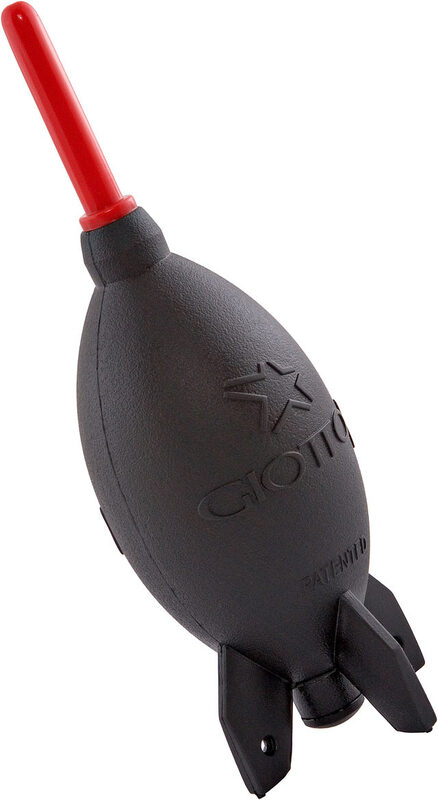 The Giottos Rocket Air Blaster is simply the safest and best way to blow clean, dust-free air to clean lenses, cameras, filters, keyboards or any of the other places where dust resides! Available in four sizes from the large 7.5″ long large rocket with a 2.4″ diameter for a large volume of air to the convenient small Rocket with it’s 2.1″ air bulb. Made from the best quality silicon rubber for long life and instant rebound the blaster will deliver a near continuous stream of clean air! Each rocket has a long thin tip with a uniquely designed opening to eliminate whistling. A one-way valve on the bottom brings in clean air and does not re-distribute the dust! The large Rocket is available in either black or red.